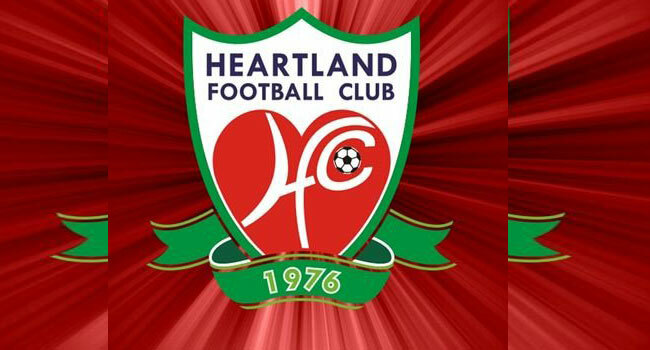 Heartland Football Club of Owerri has signed 18 new Players in readiness for the 2018/2019 NPFL season which kicks-off Sunday 13th January 2019. While unveiling the players at the new Okigwe township Stadium in Okigwe town Imo state, the Chairman of Heartland Football Club Owerri, Goodfaith Etuemena said after critically analyzing the situation faced by the club last season saw the need to beefup the squad for a better outing this season. The new signings include a Brazilian Striker Santos Da Costa Ivo Jorge who formerly strikes for a Brazilian club Flemenesse. Midfielders are Nnoshiri Samuel from ASJ Academy, Ajong Pederson a Camerunian from Cofine FC, Alex Nsaa another Camerunian and Adeboye Gabriel Dada from Sunshine Stars of Akure. The Defenders are Uche Micheal from Akwa Starlet, Akhabue Joshua from Delta Force, Osia Felix from FC Ifeanyi Ubah and Agbekpornu Desmond a Ghanian from Ashanti Gold. The club also sort the services of three new goal tenders, Chijioke Ejiogu Arugo Monkey who is making a return to the NPFL, Ameh Godwin and Fatunwase Oluwaegun from Go-Round and Ikorodu United respectively.